They would know me. They would know Nacea, and they would never forget it again in the short, short lives I granted them before they died. They’d taken my country and my life, and I would take their heads. An Erlend winter is nearly upon us, and it’s time to announce the title of MASK OF SHADOWS #2. 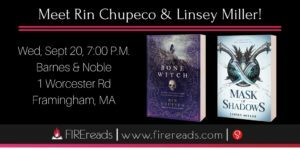 There’s also a giveaway, so check out the information below the title reveal! Are you ready? Your bets placed? Your knives sharp? I really love this title, and I hope you all love it, too. 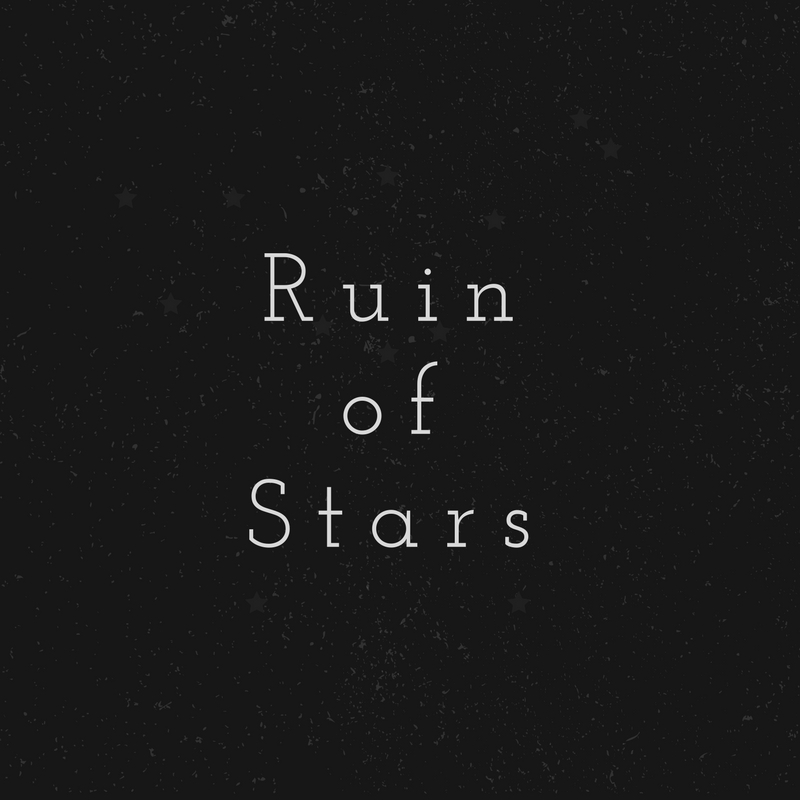 RUIN OF STARS will be published in 2018, and I can’t wait for you to find out how Sal’s duology concludes. Thank you so, so much for making MASK OF SHADOWS and RUIN OF STARS possible. And while we wait for our RUIN, I’m going to give away 2 signed copies of MASK OF SHADOWS! For a chance to win, quote retweet this tweet and tell me what your most anticipated 2018 fantasy book is (debut, sequel, new series, whatever you’re looking forward to the most) by October 27th (10/27/17). The winners will be randomly selected the next day. AND AGAIN THANK YOU, THANK YOU, THANK YOU. All of you. I can’t wait for you to find out what Sal has been up to. MASK OF SHADOWS IS OUT!!! I’m still reeling from the completely amazing fact that it’s out and about in the world, and thank you everyone for everything. I will be doing some events in the coming weeks! Through some wonderful happenstance, I get to travel with Rin Chupeco, and we’re going to MA, PA, and NY! Find us here, here, and at Kerri Maniscalo’s launch with Traci Chee for a panel. 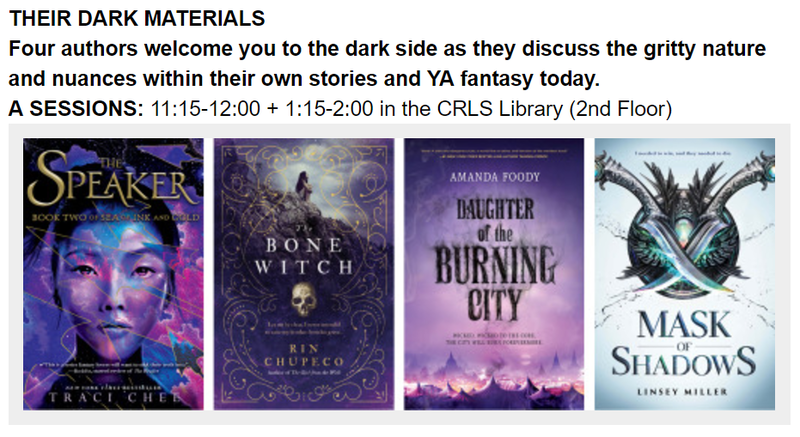 After that, it’s on to the Their Dark Materials panel at Boston Teen Author Fest on Saturday, September 23rd! I just got back from the RT Convention a little while ago, and it was amazing! I got to giveaway two arcs of MoS to teenage book bloggers, who were super inspiring and way more hardworking than I ever was. And extra exciting, MoS has its very own landing page now from Sourcebooks! If you feel like signing up to get cool news and bonus info, head over there. AND probably the most exciting for you guys, I’m currently giving way three books to one lucky person on Twitter. I’ll be doing this with different books (picked based on what the members of the Left Hand would like) until August 29th when MoS comes out! Hello all! Some exciting Mask of Shadows news: not only does it have a beautiful (the SB people are absurdly talented) cover and a pre-order status on Amazon, but ARCs are now available for request on NetGalley. You can view the cover reveal here. The reveal includes an exclusive excerpt from MoS. If you’re so inclined after seeing the cover and reading the excerpt, you can pre-order it here. Sourcebooks Fire is also hosting some fun stuff on their Instagram (as always) if you want to check it out! And hopefully, some more interesting things will be showing up in the coming weeks.